Trash To Couture: Mens shirt sewn playsuit. Cute little romper for these hot summer days! Before: It was a mens shirt, but husband wasn't into the fabric. 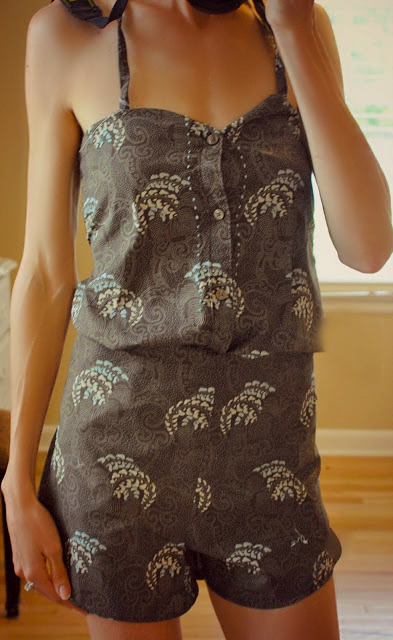 Perfect for a refashion since I loved it! 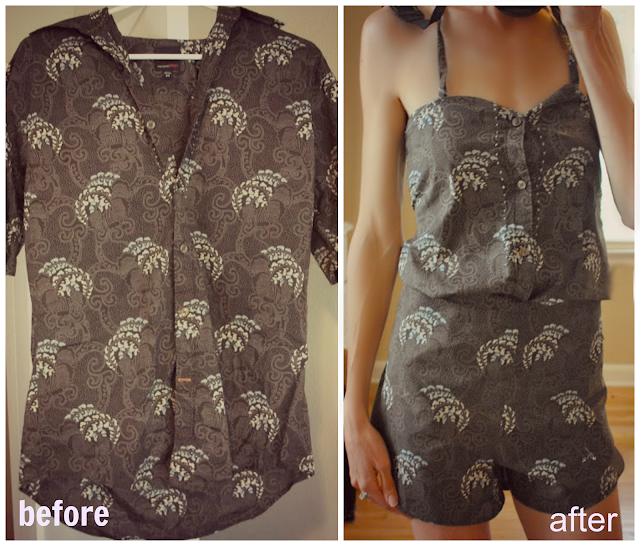 Took it apart and sewed it into a lovely romper. So pretty! Love the pattern! I love this!! Good job! adorable. you are sucha talented designer. This looks great! How did you do the shorts? Could you provide a little more information on how you did the waist? and maybe also the neck tie? Did you use the sleeves for that? This is such an impressive DIY! It looks amazing. I found your project on pinterest. Your blog is awesome, love it! I am your newest follower. can u do a tutorial? Someone else is already registered with that email address. Please choose another email address. I have not been to this post before, and even though this is not the information i was looking for, i can say that your work is quality and informative. You have created a very nice post, which is worth every minute of my time. I am glad that you shared. Thanks!